In Barbados, there may not be an item that home and business owners rely on more than an air conditioner. With the temperatures remaining in the mid 80’s year-round, many people have their cooling systems continuously running. Just like any investment, you want to get the most out of your AC unit. However, after continuous use, it does not matter how well-maintained your air conditioner is, you’re going to have to replace it eventually. Whether you’ve had an air conditioning system for years or you’ve moved into a home with an older cooling system and you’re not sure of its history, it may be time to consider replacing the unit. After years of excessive use, it is not uncommon for certain parts and components to wear and break down, causing your air conditioning system to become inefficient. In the Barbados heat, the last thing you want is an inefficient or faulty air conditioner. Unfortunately, air conditioning systems can break down without a moment’s notice, leaving you without defense against the hot temperatures. The best way to avoid this from happening is replacing your AC unit when it is on the fritz. But how do you know when it’s to replace your air conditioner? Check out some common signs that it is time for air conditioning replacement in Barbados. Air conditioners are meant to circulate crisp, cool air throughout an area. So when an AC unit is blowing out warm air instead of cold, it can be extremely frustrating. 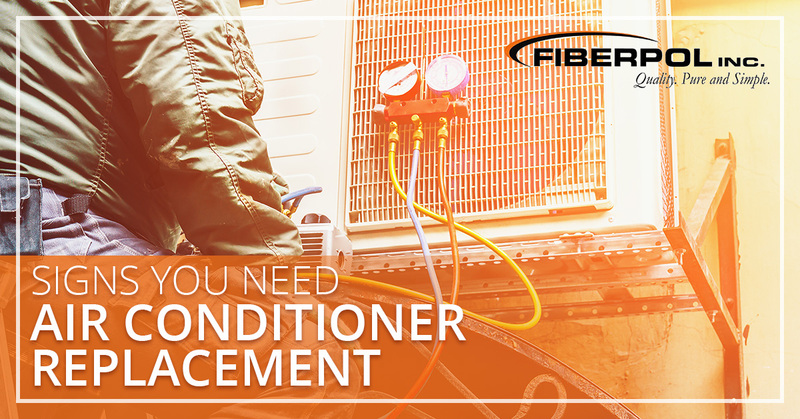 If your air conditioner is blowing out warm air, it could be a sign that it is time for air conditioning replacement. A unit dispersing warm air could be due to a number of reasons, including low refrigerant levels or even poor maintenance. Sometimes, warm air can be due to a matter of old age and wear that has reduced the power and efficiency of the compressor and other important components. In addition to cooling the inside of a building, air conditioners are meant to operate quickly. Today’s air conditioning units, such as Streamline Air Conditioners, operate quietly and cause little to no distraction. If you notice that your unit is making grinding, scraping, squealing, or other obnoxious and abnormal noises, you may need to invest in an AC replacement. In addition, loud equipment could be a sign that your air conditioning system is not properly sized for your home. These sounds could indicate small issues like lack of lubrication, however, if they are ignored they could cause further damage to the unit leaving you without central air conditioning. A new air conditioner will deliver cool air quickly. When a unit weakly pushes little air out of the vents, it is a sign that the system needs repairs or is nearing the end of its lifespan. When an air conditioning system has very little air flow, cool air will not circulate through the enclosed area as easily, causing it to become inefficient. 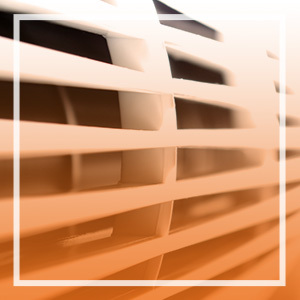 Little air flow is generally a sign of issues with the AC’s compressor or damaged vents. Although it is possible to have these issues repaired, when the repair costs get too high it may be better to consider replacing your old unit with a new one. Just like with a vehicle, there may come a time when repairing your air conditioner is just not worth the costs and the hassle. If you ever find yourself paying to have the same AC unit repaired constantly, it may be best to buy a new air conditioning unit. Eventually, it’ll be more cost effective to replace it rather than pay for consistent repairs. An HVAC professional will be able to determine whether or not your AC is worth repairing or if you should consider buying an entirely new system. While condensation around an air conditioner is normal, excessive leakage can indicate a much larger issue. If you notice an issue with a refrigerant leak or have large pools of water around your air conditioning unit, you may have a serious problem on your hands that needs to be addressed immediately. Refrigerant leaks not only cause a system to underperform, but it also poses as a serious health risk for you and your family. Additionally, excessive water leakage can lead to damaged floors, furniture, and other belongings as well as mold growth. If you notice a sudden spike in your costs related to your air conditioning, but your use has not changed, it may be a sign that your system is not working as efficiently as it should. A jump in cooling costs could be caused by many things, including leaky ductwork or a broken thermometer switch. Wear and tear of the internal components is normal after several years of use, but when major parts, such as the compressor, condenser, or condenser coils, start breaking down and malfunctioning, repairing them can get pricey. As with all appliances in a home, an air conditioner will eventually live out its life cycle and will no longer be efficient. If you notice that your energy and repair bills are increasing, it may be better to replace the system. A new AC Unit will cost significantly less over time than a unit that is old, inefficient, and nearing the end of its life. An air conditioner that is regularly maintained can last about 10 to 15 years. However, even if an air conditioner is technically still working, as the unit nears the end of its lifespan, it will use more energy and become less efficient at cooling a home. If your AC equipment is in its twilight years, it may not be a bad idea to invest in a new system now, that way you can ensure your system works in the middle of a Barbados heat wave. A new air conditioner should help reduce your energy bills for years to come. An aging air conditioning system will struggle to keep the rooms in your home at a consistent temperature. Inconsistent room temperatures could be the result of a variety of issues, such as an inaccurate or damaged thermostat, low fluid levels, clogged air filters, damaged ducts, or serious damage to the motors and other major components. However, when it is difficult to maintain a comfortable temperature, it usually is a sign that your air conditioning system is not strong enough to disperse air throughout your home. In this case, ignoring the problem will only lead to an uncomfortable living environment as well as increased energy bills. Not all AC units are created equal and with homes varying in size, layout, climate, and more, every home will have unique needs when it comes to cooling options. If you notice any of the signs above with your AC unit, it may be time to look for a new air conditioning system. A new air conditioning system will likely be more energy-efficient, cost-effective, and effective when it comes to cooling a home. The last thing you want for your home during a Barbados heat wave is a faulty air conditioner. If you notice that your AC unit is near the end of its life or are tired of paying for AC repair, you may want to consider replacing the unit. 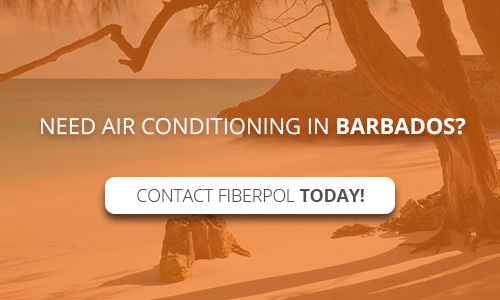 If you are shopping for new air conditioners in Barbados, be sure to check out FiberPol! We carry Streamline Air Conditioning units, offering homes and businesses quality, efficient, and affordable AC systems. With sleek and modern central air conditioning units as well as inverter air conditioners, we carry some of the latest models in air conditioning technology. Interested in getting a new air conditioner or want to learn more about our Streamline AC units? Contact our air conditioning specialists today!